Each year the Long Island Chapter of Trout Unlimited (LITU) and the Henry Prussen Jr. Memorial Fund will sponsor up to Two (2) young adults to a One (1) week summer Environmental Education Camp held at one of New York State's Environmental Campgrounds. LITU will file the applicant's registration form with New York State DEC no earlier than (The dtae has not been finalixed yet...saty tuned). For more information about these camps as well as their specific locations, please visit Department of Environmental Conservation Education Camps. For over 60 years, the DEC has provided a residential summer camp program in conservation education for young New Yorkers. All four camps, Colby, Pack, DeBruce and Rushford, serve children who are 12 to 14 years old. In addition, DEC offers a week-long Ecology Workshops for teens who are 15 to 17 years old at Pack Forest during the first five sessions of camp. At the camps, youth become immersed in conservation education, participating in fun activities and games that teach the wise use of natural resources. 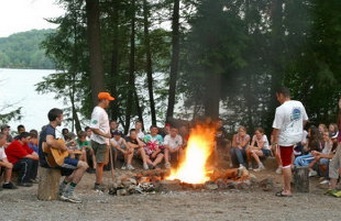 There are eight weeks of camp a student can choose from in the months of July and August. Campers are encouraged to return the next year for a Returnee Week, offered only to campers who have already enjoyed the camp program. Special trips and activities are planned for this week. Sportsmen Education courses are offered at Camps Colby, DeBruce and Rushford, and shooting sports are offered for a few weeks at Pack Forest.